Parliament St reserve, Sandy Bay. Gerard Ivory, captain of the Tasmanian men's team, the Pademelons, in action at the Australasian Regional Championships, November 2017. 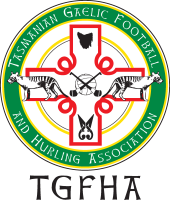 Welcome to the Tasmanian Gaelic Football and Hurling Association. 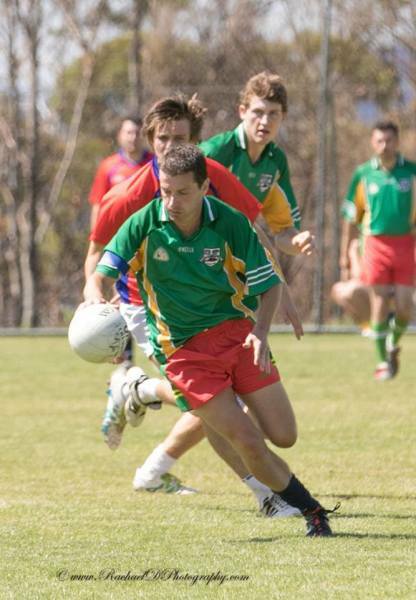 Established in 2007, we promote and administer Gaelic sports on the beautiful island of Tasmania, Australia. We are an incorporated non-profit association run by volunteers. Our aim is to provide a safe and enjoyable playing environment for players of varying ages and abilities to participate in Gaelic sports. We are affiliated with the Gaelic Football and Hurling Association of Australasia and, in turn, the worldwide Gaelic Athletic Association family. 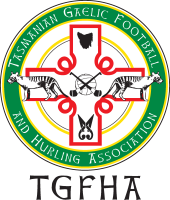 We look forward to helping you participate in Gaelic sports as a player, coach, official, spectator or supporter. Although we are a small organisation, we do our best to provide a positive experience for all our members. Note: please use the search box to the right to locate cut-price airfares that also support your Gaelic sports association. Welcome to our Gaelic football season for 2018-9. Social League mixed football - A casual competition, the Social League is available to players of all abilities and levels and experience. It's all about fun and participation so come along and have a go. We start on Wed 14 November and play for six weeks. All matches are at Parliament St reserve in Sandy Bay. All players - 14 and up is the age group - need to be registered to play. ​Super Summer Sixes - We may play a short season in January and February if we have the numbers. Contact us if you're interested or would like to enter a team. ​Regional Championships - Australia's best 7s tournament for the minnows. The 2019 Regionals will feature men's and ladies' divisions, played in Adelaide in November. We aim to send 2 Tasmanian representative teams. Please register your interest by contacting us. ​St Patrick's Day weekend - We are having our end-of-season day on Saturday 16th March. There will lbe a come-and-try session at 10 followed by the McMathuna Cup at 11: Hobart Shamrocks v Hobart Celts. Afterwards there will be a free barbecue (vegan options available) plus drinks. It's all at Parliament St reserve in Sandy Bay. Toilets and children's playground on site. All welcome. Our latest newsletter, November 2018 - click here to download. 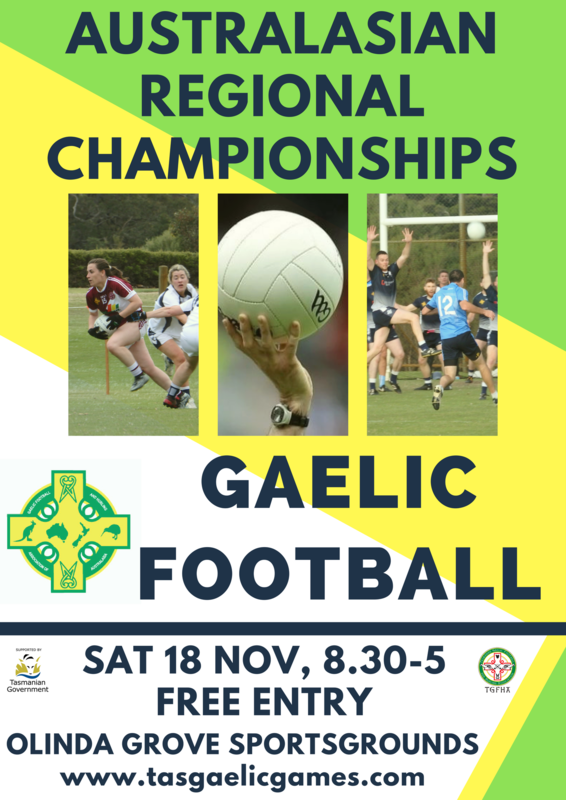 GAA Newsletter for November 2018 - click here to read online. The club newsletter is produced by the worldwide governing body for Gaelic sports, the Gaelic Athletic Association. It features reports on GAA activities both in Ireland and overseas, including an article on proposed rule changes for men's football.